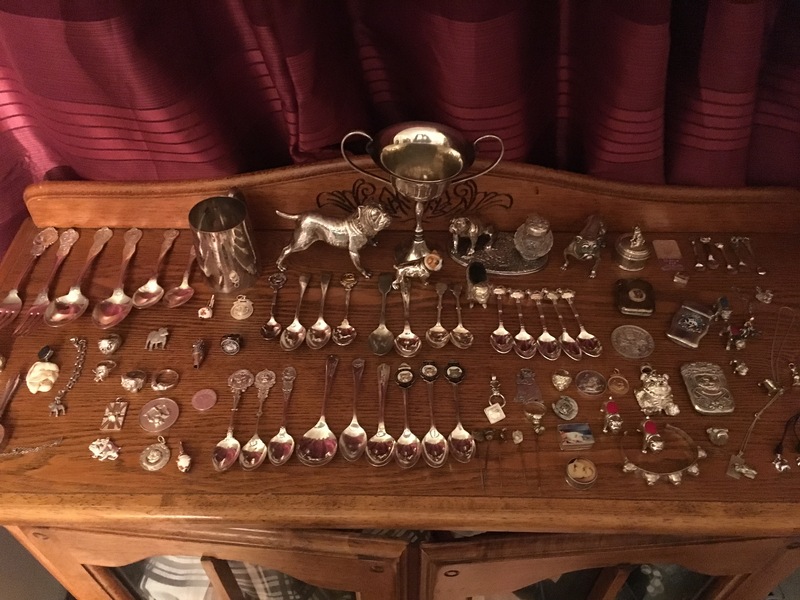 Bulldog antiques! 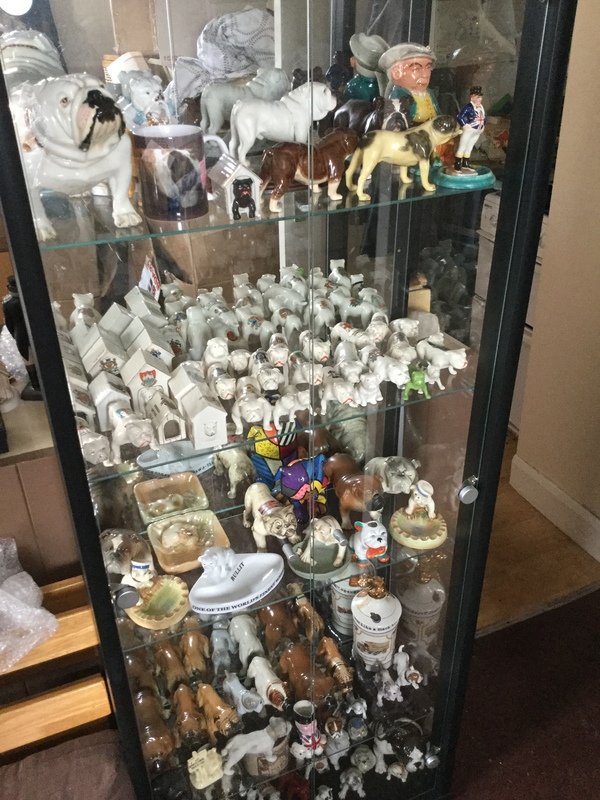 Hi there readers, I hope your all well the article Bulldog antiques No1 What a choice is a showcase of what we feel are some of the best bulldog memorabilia collectibles in our collection, everyone’s choice is different of course but with so many bulldog collectibles it’s not an easy decision. 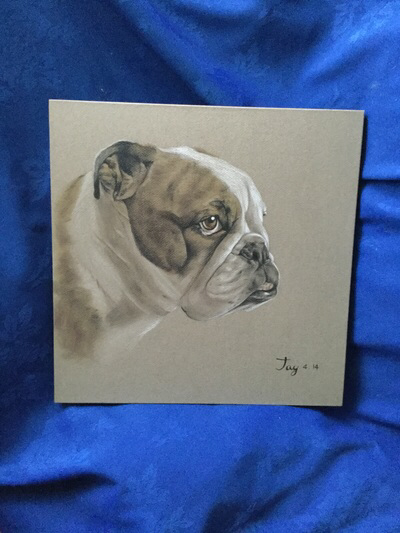 Looking round at the thousands of pieces it’s so hard to say yes that one really stands out, I’ll put up a few of my favourite pieces and then maybe you can hit our Galleries and see what other delights we have in the Collectibulldogs collection let’s start with an obvious piece. 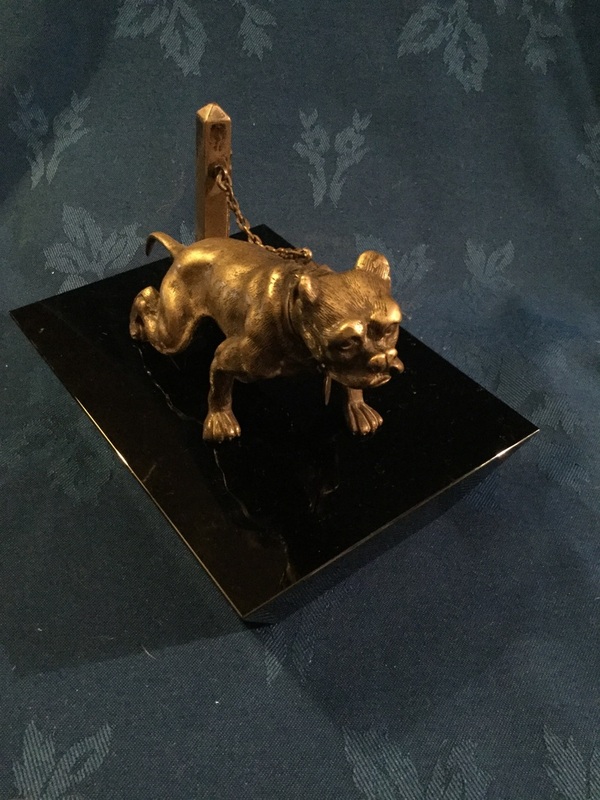 The main reason I chose this bronze bulldog Vesta out of all the bulldog antiques is becouse it took me over a year of what was not a very nice time saving for this but having not much money, the previous owner was selling up he’s array of collectibles to get into art  and held the piece for me until I had enough funds to buy my very first proper bronze the best of my bronze / metal bulldog antiques back then. Still getting stick by viewers and animal lovers alike the piece depicts a bulldog chained to a post, most do not think why a dog is on a leash like that and just see the chain as shackles, we have to remember rights were bad for animals in the 1800s and a real artist always produces the truth in their own artistic form, with a working head the piece is still intact nearly 150-160 years after it was first made. There are different forms of this piece there is the signed French piece which I believe to be the first then Wien in Austria made their own version which I have, theres the later non usage bulldog bronze and with most bronzes there’s the fake version too with the turned head and no chain, I often get this piece out and just look at it thinking about how far I’ve come. 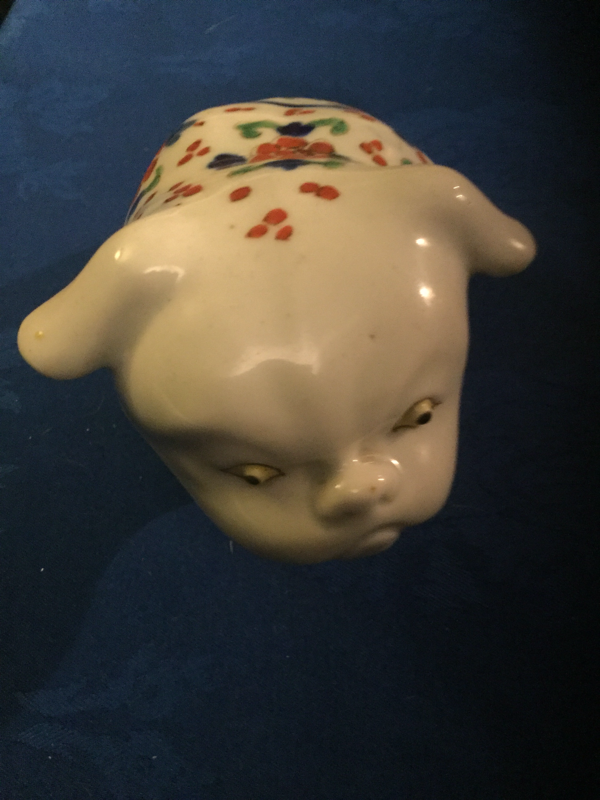 Again out of our bulldog antiques and from memory another bulldog memorabilia piece that sticks out is the old babyfaced Japanese Akari bulldog, some of our bulldog antiques came from one source and this piece was one of them, I payed about forty pound for the piece and was gobsmacked  when I did my research, not only was my babyfaced bulldog proper bulldog antiques but the prices demanded in auction were BIG ! A collection was sold in america in 2010 and the same piece came up the reserve was held at two thousand pounds but it failed as it only reached nine hundred pounds, I know wow what a profit margin there, I’ll never sell any of my bulldog antiques but it’s sure nice to know I have some great pieces to pass on to my daughter and it’s not all boot sale paraphernalia. 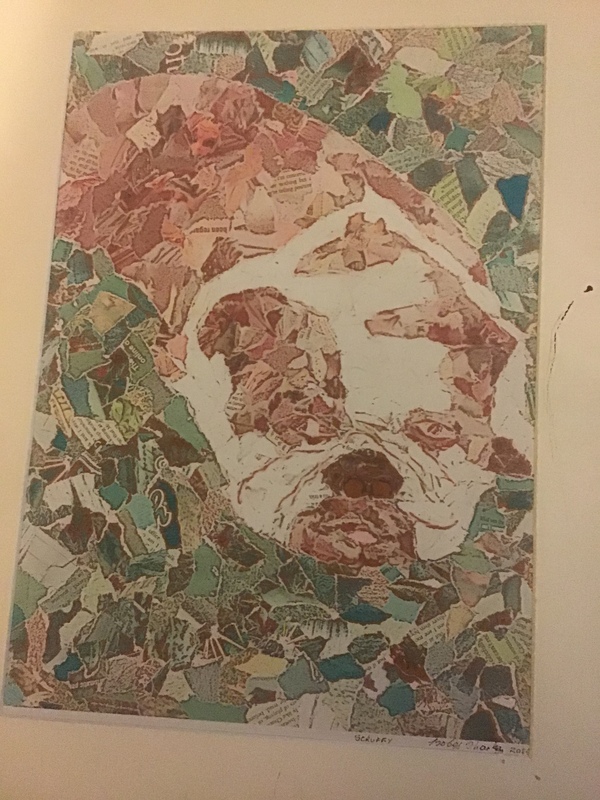 When we lost our first ever bulldog Scruffy-Louise to sever asthma there was a beautiful inpouring of love coming from all over the world, cards messages, even the offer of two different puppies from two different social media friends was offered too but what comes to mind is a mosaic of scruffy-Louise, the artist Izzy is a friend of mine and the piece was a beautiful sentiment. Its easy even in this particular style to make out Scruffy-Louise was a brindle and white Izzy captured her essence amazingly all by gluing torn pieces of coloured paper together, we have a few of our first bulldog and even though they are not bulldog antiques you’ll understand why some pieces are just that little bit more special to me. I wanted to add two here as I really like both pieces sent by my good Australian friend in Adelaide, there’s a bulldog antiques ceramic piece with beautiful pastel co,ours and the other piece is just exquisite the article on this piece is one of our highest read Article on decoupage the art of using paper and paste to create layers over an object giving it a new lease of life. 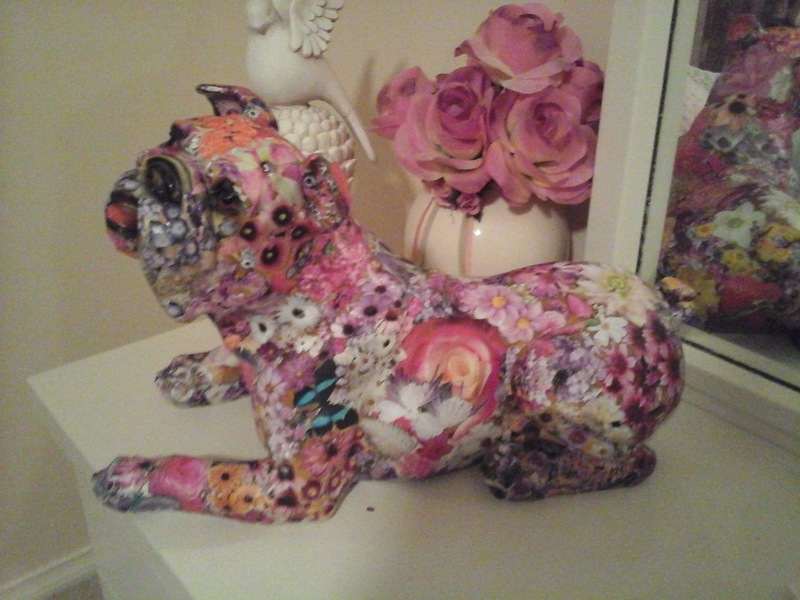 I mentioned the pastel piece too the reason why I wanted to add this in is becouse the decoupage artist ‍ and good friend had already got one for herself and knew I was in awe, keeping an eye out another bulldog antiques ceramic piece was found and I got a very lovely  surprise when I opened a box  one day and the pastel piece and some other goodies were inside. THANK YOU WHEN YOU READ THIS. It should be widely known now that one country that doesn’t fair well when it comes to bulldog antiques and memorabilia and that’s the European country of Austria , two world wars and a country that used up all Surplus resources has little to offer, the great names like Bergman come to mind but many of his works and his father’s were either destroyed or smelted for the war effort. 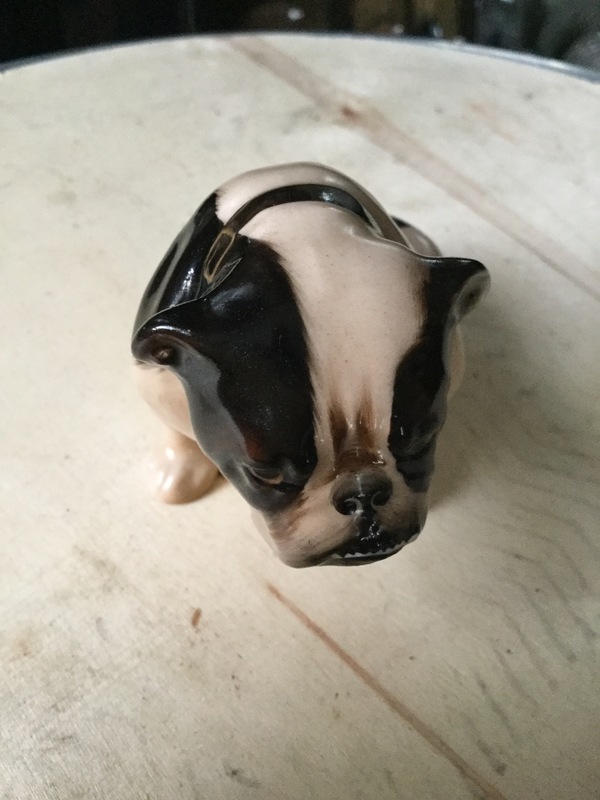 Im smitten by anything I find that’s Austrian in make and feel lucky  when I own bonified bulldog antiques from a country where there isn’t many to be had, well there is a supply and demand but not in our Bulldog niche, the piece I’m showing is 1900s in date has a naive look and a stunning backstamp that’s lasted 120 years through two wars and maybe other situations too it’s amazing that ceramic pieces can last for so long. 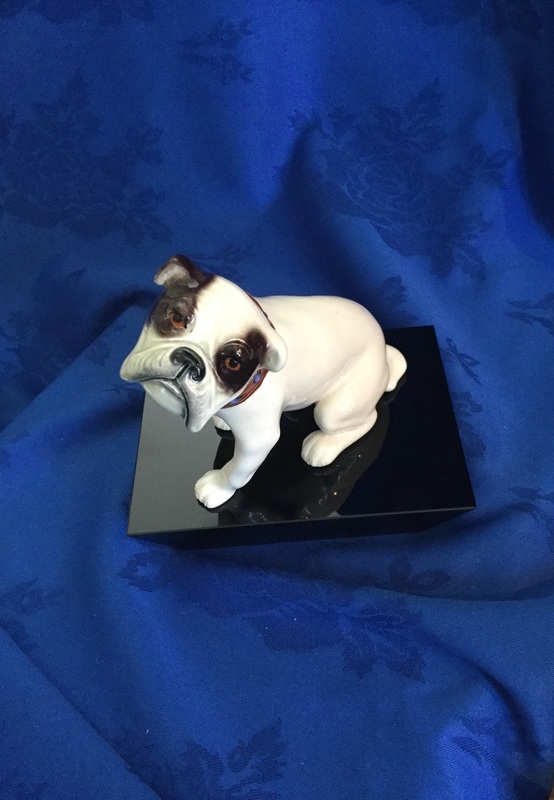 Bulldog antiques our Royal Doulton hoard ! out of the whole collection of pieces I paid the most for HN881 (pictured) the rest I got at very good prices and just as well as it’s one brand and everything is uncertain when it comes to the art of selling at auction, Royal Doulton always does well but as stated (Find out more about RD Here )drop and smaller quirky makes rise that’s the auction game for you. When I first ever started out using the power of WiFi and this new idea called the internet back then I had no website I had only just created a Facebook page and then created what was then a very successful bulldog antiques Facebook group with hundreds being added everyday, I feel many felt either jealous or felt it was wrong I created my own platform in which to inspire and grow from. Helping artists and other artistic creators to find work in my group i came across an artist artist called PIPI it wasn’t easy to not to notice her as her artwork was amazing and when I tell you the young lady was only ten when she drew this beautiful pencil ✏️ on canvas of our Scruffy-Louise, it’s still one of my favourite pieces to date and cannot thank PIPI enough for such a lifelong heartwarming present such as this. The Rude lady begging for freebies ! Now listen all ! if the lady in question reads this she may not find it that funny  but after all the heartache this woman  caused over a piece that was offered free I actually enjoy looking at this bulldog and it’s not old it’s not bulldog antiques for about another one hundred years, so here we go then get ready I’ll try and explain as easy as I can. I sold this lady lady in America some of my bulldog memorabilia collection so that I could invest in better pieces now every time the lady received the box  we sent she would always send pictures of cheap pieces broken, me being me always offered replacements and what I called freebies or box fillers and happy face here was the last freebie I offered to her. After I had been sending pieces for a little while the lady ceased correspondence and was buying pieces closer to home through a contact I had introduced her too, I felt the lack of talking to be rude but understood shipping state to state was much cheaper ! That’s when she got funny  I’m of mental illness so I don’t mind saying she was BONKERS she demanded that she get her free piece SIX MONTHS AFTER we last spoke AND she wanted us to pay the ninty pound shipping bill. Not believing my eyes at first i thought she was she was joking but she wasn’t she was deadly serious saying she had spoken to her lawyers and was going to sue me, I gave up helping others for a long while after but this piece when looked at reminds me I’m the master of my own collection not wannabes that wish to fill their houses with junk, I later found out she broke pieces deliberately then blaming her five dogs OMG right. Ideas can often take time to develop but choosing to collect from different countries was an easy one ☝️ everytime I turned a piece upside down to check for cracks or chips it had country of origin on so I just thought how many countries around the world produce what we call bulldog memorabilia antiques and collectibles so there’s.. Yet another set instead of just one piece, our silver collection I think is the best silver bulldog antiques collection out there at the moment, small charms with 925 stamped on them right up to large trophies chargers and bulldog figures and jewellery the list is endless, with nine bulldog rings alone the silver collection takes pride of place in one of our antique cabinets. 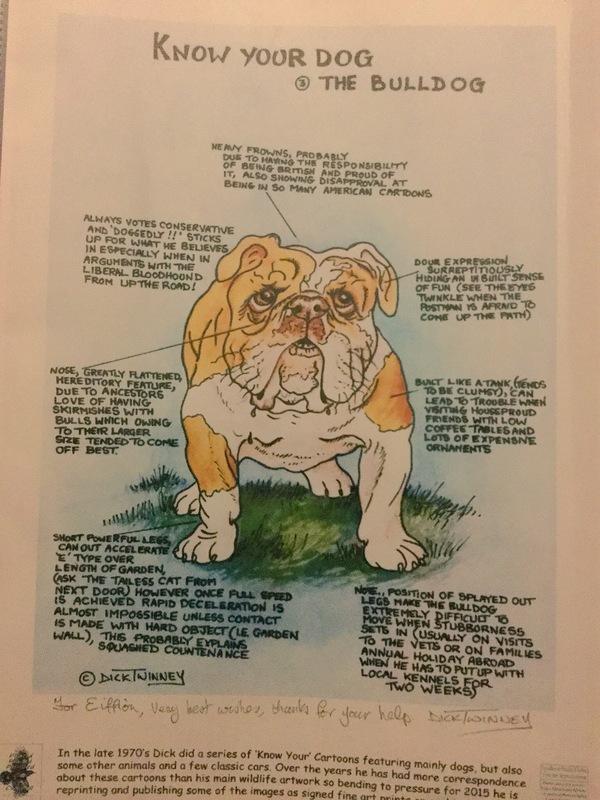 Kennel Club UK and other orgs have been in touch about this paperback 16 page booklet we fondly call the bulldog bible it’s the first ever rules to breeding the true bulldog over one hundred years before today’s breeders whom add wrong lines of DNA and try to add colours into the bulldog to put prices up, ethical breeders follow this book  right up to its present version today. The centre piece of collectibulldogs I feel I cannot part with is this booklet it makes Collectibulldogs what it is yes we have much older pieces than 1913 yet this booklet signifies everything about the bulldog world  how to breed properly and came from England’s first ever bulldog committee club, rumours say that the standard was created to stop the breeding of Spanish milk 拏 cart  pulling bulldogs that were much larger with the smaller English version keeping the weight below 45lb at the time. 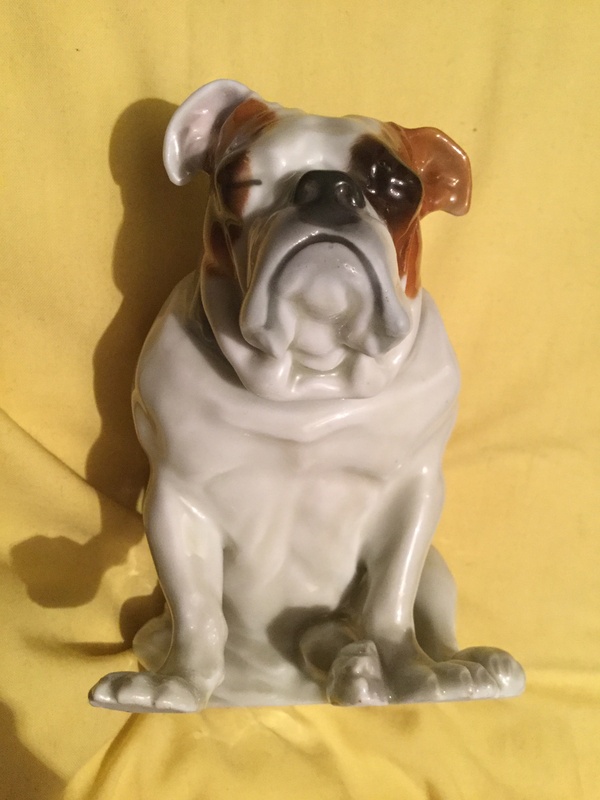 Rare Huebach bulldog check out the seated pose ! the creme de la creme as they say, this is a huebach (it’s true) and the reason no reasons I’ve added this piece is becouse A it taught me to never stop searching and B the actual piece itself the way the bulldog is just dosing in that familiar pose all bulldog owners know the only thing that would of made it more like our bulldog sitting is the legs go to one side. Most seated models have this sideway pose with the back legs to go to one side but as we know many bulldogs sit on their actual behinds like little children  our bulldog sits like this a lot it looks like she’s meditating but it’s just their comfy pose where they end up toppling over I have this with wiggles on video, these are not the most expensive neither all my favourite pieces I just wanted to share some bulldog antiques that have some meaning.